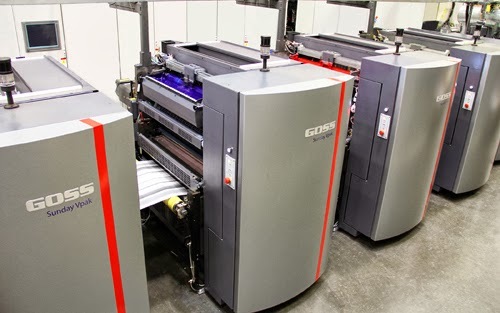 Goss International will open a specialized facility in January of 2014 for demonstration of its Sunday Vpak web offset presses, as well as a wide range of print, technology and consumables testing. The new Packaging Technology Center at the company's headquarters in Durham, New Hampshire will also serve as a catalyst for programs bringing packaging producers, brand owners and suppliers together to discuss market requirements and new production concepts. The 650-square-meter (7,000-square-foot) Packaging Center will be equipped initially with a versatile Goss Sunday Vpak 500 press system configured for printing on film and paper substrates. "The Sunday Vpak platform can provide higher quality, lower costs and faster turn-around times for packaging printing," Rick Nichols president and CEO of Goss International says. "Our investment in the equipment and the resources to staff this Center demonstrates our commitment to the packaging sector and our confidence in the advantages that web offset can deliver over traditional gravure and flexographic systems." The Sunday Vpak 500 press system at the Goss Packaging Technology Center will feature seven web offset printing units with a web width of 850 mm (33.5 inches) and a repeat range of 406 - 812 mm (16 - 32 inches). The system will be equipped with a flexo unit and UV and EB curing capabilities and will accommodate film substrates from 9 to 75 microns thick and paper products as heavy as 100 gsm. "With the first Sunday Vpak system now producing excellent results and another confidential project underway, we look forward to expanding our ability to demonstrate this new-generation web offset option to packaging producers throughout the world through customized print tests," explains Peter Walczak, director of product management for Goss packaging presses. Walczak says Goss will host seminars and programs at the Packaging Technology Center that will allow packaging producers, brand owners and suppliers worldwide to jointly explore emerging demands in the market and share new ideas for addressing them. "This will also be an industry resource where suppliers can test inks, chemicals and auxiliary technologies for web offset production in a neutral, controlled environment," he adds. GSE Dispensing, a global supplier of automated ink logistics systems and software, introduces a fast, automatic labour-saving way of dispensing process colours, coatings and ready-mixed colours that need no blending directly to the packaging printing press. Suited for flexo and gravure printing processes, the Direct Dispenser is a volumetric system that replaces the manual filling of the printing press, which is a labour-intensive process. Ink is pumped into a 50 litre-capacity mobile tank or a fixed tank by a diaphragm pump that features an ink meter to measure volume. Suction tubes connecting the tank to the ink chamber of the press ensure that the press remains constantly replenished with sufficient ink or coating during the process. Sensors in the tank automatically reactivate the dispensing process when ink or coating falls below pre-determined volumes. A touch-screen operator interface situated at the press ensures easy control of the system. The Direct Dispenser also logs consumption levels, raw material types used for each job and for which application. The system can be used in combination with a personal computer or Colorsat dispensing system and GSE Dispensing's proprietary Ink Management Software (IMS). The integration with IMS provides accessible, transparent ink and coating costs per job and enables ink and coating used on any job to be traced to the batch code. This provides reassurance for packaging suppliers to the food industry, where strict health and safety controls on raw materials are enforced. Maarten Hummelen, marketing director of GSE Dispensing, says: "With its ease of use and automation, the Direct Dispenser, accelerates and simplifies the conventionally labour-intensive process of ink replenishment of the printing press. By integrating with our Ink Management Software, for the first time the printer gains full cost and trace-ability control of inks that are directly consumed at the press. This system provides an important platform for a more flexible, leaner printing operation." As other Labelexpo’s, this time too Gallus cracked the deal for not one but three of its presses with the Indian customers at the show floor. While two Gallus ECS 340 presses have been sold to Super Labels from Mumbai, one EM 280 has been finalized for Raj Press in Bengaluru. Best Labels in Chennai is these days all set to become a one stop shop by adding on value for their customers as earlier the printer had a letter press machines and recently it added an eight colour EM 280 that is a paradigm shift as it adds flexo to their bandwagon. This year, Gallus India has sold nine presses since January 2013 and the company is looking at a total of 10 to 11 presses by the end of December 2013. However, a success story is big when there are repeated installations and Super Labels is one such loyal Gallus customer. The company already has four Gallus EM 280 installed in-house and has now placed two more orders, albeit this time for the technological marvel ECS 340 that will keep them ahead in terms of technology. The Gallus ECS 340 is an extremely cost-efficient, high-quality commodity label production press. Exceptionally quiet and stable with minimal waste and setup times, the Gallus ECS 340 heralds a new era of extremely cost-efficient commodity label manufacture. It is proof that less can indeed be more. When developing this press, we focussed on the essential features, honing the configuration to maximise print quality while minimising costs. The machine’s extremely short web path of just 1.1 m between printing units cuts waste significantly. Thanks to its granite core, the press has a particularly long service life and is quieter than any other machine in this class. What’s more, the self-explanatory operation of the Gallus ECS 340 with touchscreen technology delivers even quicker results. 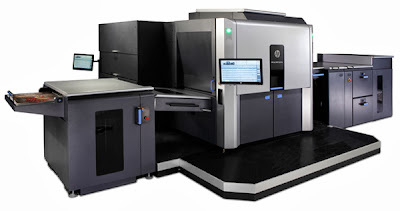 HP announced that New Jersey-based Digital Color Concepts (DCC) completed installation of an HP Indigo 10000 Digital Press to produce promotional materials, direct mail pieces and in-store displays for luxury brands. DCC, a fully integrated graphics company specializing in color retouching and print, installed the 29-inch wide HP Indigo 10000 Digital Press in July 2013 after experiencing tremendous growth with the HP Indigo 5500 Digital Press. The HP Indigo 10000 maintains all the capabilities distinct to the HP Indigo portfolio in a wider format, while providing the flexibility and high quality that DCC needs to produce any commercial job. As its reputation as a digital print provider grew, DCC experienced an increasing volume of requests for variable data printing, which created the need for more capacity. DCC conducted rigorous testing of competitive devices before selecting the HP Indigo 10000 as the platform of choice because of its unmatched quality and productivity. DCC’s high profile fashion and luxury brand clients require top quality, a wide range of customized applications and adhesion to strict brand guidelines. The HP Indigo 10000 enables DCC to use variable data to customize direct mail pieces, pocket folders, promotional materials and in-store displays with personalization and versioning on a variety of specialized substrates. The press is compatible with a variety of substrates including coated, uncoated, colored, metallic recycled and specialty papers. DCC easily meets brand requirements with HP Indigo’s liquid ElectroInk technology, which provides a wide digital color gamut. Gröbenzell - The PrintCity Alliance is inviting brand owners, designers, printers and finishers to take part in its Packaging Inspiration Forum for the second time. Following the successful launch in Düsseldorf in April, this series of events is now to be continued in Hamburg on 19 and 20 February 2014. Together with other hot topics, new possibilities in finishing, digital printing and the smart packaging field will again provide a highly interesting basis for visitors to gather information and engage in discussions. "For me, as a packaging designer, the event was so interesting because it gave me exhaustive information in a short time on technical innovations in printing processes and special finishing techniques," said Kirsten Herb-Gorissen from the Gorissen design agency after the event in April 2013. "There was a great variety of speakers, and the open-minded exchange between the experts gave me a good overview of the opportunities and difficulties of individual process phases." The existing concept – comprising keynote presentations by renowned speakers and interactive sessions – will be retained, as will the extensive networking opportunities. "What happens between the presentations is always particularly important. The overall concept optimally supported this exchange," remarked Jürgen Kleinhans from Bacardi Deutschland, "I'm looking forward to the next event." Increased attention will be paid to inviting creative workers, agencies and manufacturers of branded goods. 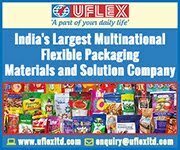 It is essential for the packaging industry to further expand the dialogue with these groups. The venue will be the Grand Elysée in Hamburg. Details regarding the programme and registration will follow in the next few weeks. Preliminary registration is already open to anyone interested at info@printcity.de. Ipex 2014 visitors will have the opportunity to view and learn more about printed products and technologies that are set for rapid expansion over the next few years. Covering photo products, digital print on packaging, 3D printing and printable electronics, the Future Innovations zones on the show floor will showcase examples of these products, as well as the technologies and relevant suppliers that will help print service providers expand into these areas. The whole production chain – from websites to printing technologies, binding and dispatch – will be represented in the Photo Products Zone. Printers will also be shown how they can maximise profit margins by easily setting-up websites for consumers to upload pictures for photo albums, calendars and other personalised products. In the Digital Print on Packaging Zone, visitors will learn about the range of opportunities that lies in this emerging market, which is often compared to where photobooks were a decade ago, while the 3D Printing Zone will address a technology that is both fascinating in itself and staggering in its potential. As a completely new field for print, it will focus on applications that printers can exploit for themselves and their customers. Visitors to the Printable Electronics Zone will see examples of products that can be created using different printing techniques, including litho, flexo, gravure or inkjet. As many of the opportunities with printed electronics have now moved from lab testing to proof-of-concept production, this zone offers the ideal opportunity for printers to explore how they can get involved to deliver the high volumes of printed electronics the industry will require. Neenah Paper announced that it has been named as a member of the HP Indigo Preferred Media Partner Program. The agreement reflects Neenah’s commitment to supporting the needs of the HP Indigo printer community for premium substrates, with specific emphasis on premium uncoated papers. Since 2006, Neenah has manufactured high-performance digital papers created with its proprietary Universal Digital Finish -perfect for HP Indigo printers. Through Neenah Digital, Neenah offers the most comprehensive offering of premium uncoated digital papers in the industry: 14 brands, 38 colors, 15 finishes and 13 weights including a range of environmentally certified options. Neenah HP Indigo papers are third party certified by the HP Indigo® Substrate Certification program at the Rochester Institute of Technology (RIT) Printing Applications Laboratory. An HP Indigo preferred media partner must meet a set of criteria that demonstrates its ability to provide superior service and support, regional and global coverage, and environmental responsibility concerns. “Neenah is a well-recognized manufacturer and supplier that has developed consistently high-quality solutions to expand applications and businesses. We expect Neenah will help accelerate the speed of adoption of digital among print service providers, while meeting exacting customer demands and providing a unique competitive advantage to HP Indigo customers,” said Barak. Direct communication and new opportunities for collaboration between Neenah and HP will reduce the time needed to develop new media products, as well as enable expanded service and support for Neenah customers. Neenah and HP will also work together on promotional programs to the HP Indigo customer base. Markzware, leading innovator of digital publishing software, content search technology, and data conversion software, announces the release of the PDF2DTP for InDesign CC Mac Bundle. InDesign plugin, PDF2DTP, has been enhanced to now work with Adobe InDesign CC (Creative Cloud graphic software). This data conversion bundle of InDesign plugins for the Macintosh includes the PDF2DTP for InDesign CC plugin for Adobe Creative Cloud, as well as the PDF2DTP for InDesign CS6 plugin for Adobe Creative Suite. 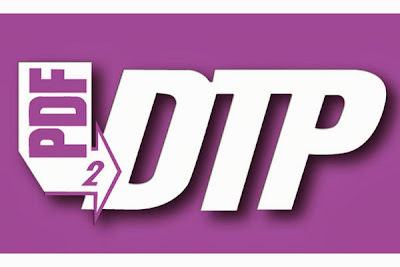 PDF2DTP provides a quick, easy and affordable method to migrate content from PDF into an editable format within Adobe InDesign files (INDD), enabling users to more easily edit PDF. One-click, multi-page data conversion helps to quickly convert PDF to InDesign CC, or convert PDF to InDesign CS6, allowing swift return on investment. Users can edit PDF in a familiar page layout program, while preserving intellectual property and eliminating time spent re-creating content. Lisa Salazar, senior graphic designer & photographer said, "Wow. I just purchased and installed PDF2DTP for InDesign... Wow...it works amazingly. I had a hard drive crash, in which I lost many InDesign build files. Fortunately, I keep the final production-ready PDF files on a different hard drive and I have now been able to update several client projects without having to rebuild from scratch. Wow." The Markzware PDF2DTP for InDesign CC Mac Bundle, includes the InDesign CC plugin to convert PDF to InDesign CC, and the CS6 plugin to convert PDF to InDesign CS6, on the Macintosh platform. The subscription-based license for the PDF2DTP for InDesign CC Mac 1 Year Subscription Bundle offers access to both the InDesign CC plugin and CS6 plugin, includes all updates, free of charge, for the lifetime of the subscription, and is available at the PDF2DTP Store. Robert O’Boyle, a product manager of coatings at Sun Chemical, will conduct a seminar about barrier coatings for flexible substrates at the AIMCAL Web Coating and Handling Conference in Charleston, S.C. Held on October 29th from 9:00-9:30 a.m., O’Boyle’s seminar will explain how converter applied barrier coatings from Sun Chemical can be used to compete with typical barrier laminates and ultimately provide a cost effective and unique engineering solution to barrier packaging. Sun Chemical’s SunBar barrier coatings are designed to enable lightweighting of packaging by removing one layer of adhesive from packaging, as well as offering improved laminate flexibility. A smooth, homogenous, pinhole-free layer, SunBar coatings are easily overprinted with inks and can be laminated to a variety of secondary films. O’Boyle will elaborate on how the design of barrier coatings allows for lightweight packaging and improved laminated flexibility, while still being cost-effective, recyclable, biodegradable and press-ready with few changes to current equipment. Held on October 27-30 at the Marriott Charleston in Charleston, S.C., the AIMCAL Web Coating and Handling Conference brings together the converting community to advance the technologies of web processing, handling and finishing. Organized and hosted by the Association of International Metallizers, Coaters and Laminators (AIMCAL) the conference convenes leading industry professionals to improve efficiencies, reduce waste and introduce new technologies designed to improve competitiveness. After more than a dozen unidirectional label slitter/ rewinders with inspection systems, comes the next step forward for Webtech Labels. During the recently concluded Labelexpo Europe 2013 at Brussels, Webtech signed an order for a Grafotronic Pharma 380 R High Speed Inspection & Re-Inspection Machine which is the latest and niche offering from the Grafotronic stable. The R-Series, which can be customized as per the user needs for different modules, is a horizontal inspection machine concept with bi-directional web movement that brings 100% inspection to a new level of productivity and user friendliness. The focal point of this equipment is the linear servo buffer which facilitates re-inspection and consequently delivery of truly 100% inspected rolls. “Adapting to the latest trends in the label industry and investing into the most modern technologies has been our forte. Re-inspection is a unique concept which we believe will further add value to our stringent quality controls especially for the 100% inspection of pharmaceutical labels,” says Amar B. Chhajed, Managing Director, Webtech Labels Pvt. Ltd.
Håkan Sundqvist, Managing Director, Grafotronic, adds “I would emphasize that our R-Series would only offer true 100% label inspection which is critical for the pharma industry. We treasure Webtech’s order and would look forward to working with them closely to provide multitude solutions”. “Webtech is always ready to embrace leading-edge technologies, hence they’ve been the industry pioneers. 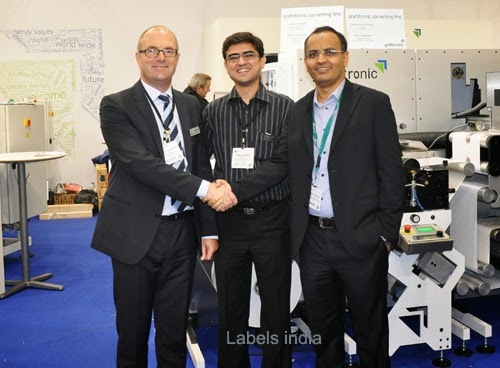 We are privileged to have their order at Labelexpo for the re-inspection machine from Grafotronic, who are a fast growing and innovative company,” said Naalin Sharma, Director, Global Graphics Machineries Pvt. Ltd.
Grafotronic is a Sweden based company producing quality label converting and finishing machines built to the highest European standards coupled with optimized price/performance ratio. The gamut of machines for the narrow web industry include servo-driven slitter/rewinders with 100% inspection systems and high-speed die-cutting apart from sophisticated machines for digital and booklet labels as well as customized solutions for high-end applications. With a customer base spanning more than 30 countries across the world, Grafotronic is known for robust machinery designed to last with heavy duty construction. Webtech Labels Pvt. 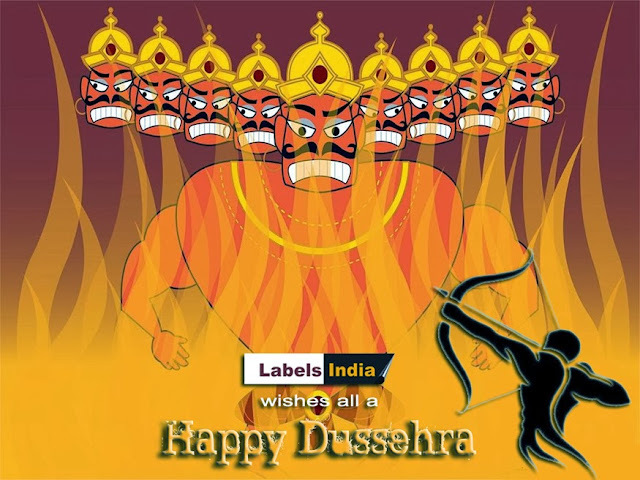 Ltd. is a Huhtamäki-PPL Group company in India which specializes in producing labels, especially for the pharmaceutical companies. Webtech is one of the largest manufacturers of high-end pressure sensitive labels in the Indian sub-continent with manufacturing facilities in Navi Mumbai and Parwanoo, Himachal Pradesh. Webtech’s mission is to provide innovative solutions and services to their customers at competitive prices and shortest possible lead times. Global Graphics Machineries Pvt. 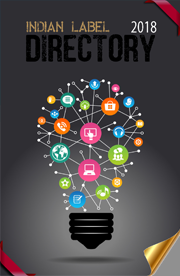 Ltd. specializes in providing printing & converting solutions to the graphic industry. 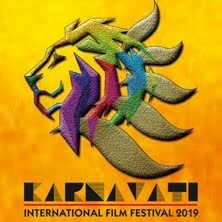 The company represents foreign label printing & converting machines manufacturers including Grafotronic - Sweden, Bang Sung Machinery - Korea, Weigang Machinery (formerly Ruian Donghai Machinery) - China and Hontec - China as their exclusive agents for the Indian sub-continent. Arena International will be hosting the Packaging and Converting Executive (PACE) Forum, scheduled for 12-14 February 2014 in Brussels. At the Brussels event, PACE will be celebrating its ninth anniversary. 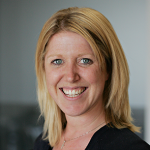 The 2014 PACE Forum - Packaging Innovation, On Time & On Budget - will shed light on important industry issues that will help attendees step up their game whilst providing an unparalleled opportunity to collaborate and innovate with peers. With the need to evaluate technological advances from both a functional and strategic viewpoint, The PACE Forum will be looking at how Brand Owners can drive profitability through innovative packaging developments and improved operational efficiency. • Talking About Money. How to fund innovation and general commercial improvement. • World-Class Manufacturing. Highlighting manufacturing processes that deliver lean and cost-effective packaging. • Retailers Panel Discussion. Retailers from France, Germany and the UK will discuss packaging as seen through the eyes of the retailer. Survival in the food industry comes down to more than price competitiveness: failure to comply with legislation positions the label printer not only as an ‘also ran’ but as a complete non-starter in the end-user’s qualification process. Here (at UPM Raflatac) we strive to promote & educate converters and brand owners alike regarding recent changes in European legislation with regards food packaging materials, of which labels are an integral part. Finat, in a collaborative effort with its member UPM Raflatac EMEA, reports on the new EU 10/2011 regulation. This regulation on plastic materials and articles intended to come into contact with food came into legal force on 1 January 2013. It replaces Commission Directive 2002/72/EC and national legislation based on that directive. Its purpose is to support brand owners’ and retailers’ duty of care to their customers, and represents an important additional measure in ongoing endeavours to ensure the quality and safety of food. Label printers who supply to the EU food industry have a key role to play. The new regulation applies the same principles as EC No 1935/2004 for materials and articles intended to come into contact with food. Such materials are required to be sufficiently inert to not transfer their constituents to food in quantities large enough to endanger human health, and to prevent unwanted changes to the composition of the food and how it looks, tastes or smells. While EC No 1935/2004 applies to food packaging in general, the new EU 10/2011 specifically concerns all plastic materials and articles intended to come into contact with foodstuff, with labels considered an integral part of such packaging. EU10/2011 consolidates 2002/72/EC and seven amendments (these were previous regulations for plastics).The idea of the regulation is to harmonise the different legislation that has existed previously within individual member states. This should make it easier for different countries to deal with each other in terms of the shipping of goods. Both direct food contact labels furnished with a plastic layer, as well as plastic labels applied to food packaging, now require Declarations of Conformity (DoCs) stating which controlled but authorised substances are present in their make-up. Only when the packaging material or any layer provides a functional barrier that prevents migration of substances from behind that barrier into food, are labels and other packaging components exempt from EU 10/2011. Material compositions that are purely combinations of paper and board continue to be covered by national legislation or recommendations such as those of the German BfR. All authorised substances - both restricted and unrestricted - which may be used in packaging containing plastic in its layers are stipulated on the ‘Union List’ within EU 10/2011. Only restricted substances need to be declared; and as DoCs move downstream within the supply/manufacturing chain, such substances must be clearly identified and documented so that compliance can be optimally tested. It is the end user - packager or brand owner - who has final responsibility for checking that the packaging as a whole conforms to EU 10/2011 (in addition to any extant national legislation for papers, as well as to EC 1935/2004, the Framework regulation for all packaging materials), taking into account the nature of the packaged food, its defined shelf life, and ambient conditions. Label printers are therefore required to provide DoCs for their labels to enable tests for restricted substance levels and migration behaviour in specific environmental conditions to be carried out. Food label printers supplying into the EU therefore need to be provided with DoCs both from their labelstock and ink suppliers to be able to compile their own DoCs, which must, of course, also incorporate conformance information about any curing processes used during label production. It should be noted that the enactment of these regulations means that printers unable to supply DoCs cannot now be accepted as part of the end user’s supply chain, and may also leave themselves open to the financial repercussions of a product recall. It is therefore essential for label printers to be proactive in obtaining and supplying the necessary documentation if they are to retain their place as responsible and viable links in the broader professional packaging chain. Finally, to summarise, all the above points underline the value of DoCs as a form of insurance for a label printer’s business, as a means of retaining existing customer contracts, and as an entry ticket to end users qualification processes for new business - with the ultimate aim of protecting the consumer. Producing DoCs to a satisfactory standard creates a level playing field for all operations – however large or small. 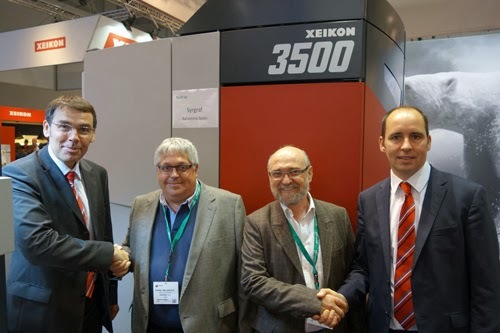 Xeikon, an innovator in digital color printing technology, announced the installation of a Xeikon 3500 digital press with DCoat500 finishing unit at Syrgraf in Barcelona, Spain. Founded in 1992, Syrgraf is dedicated to label production and employs 18 experienced professionals who are committed to deliver quality and excellent customer service. Syrgraf's close relationship with the pharmaceutical industry, and its strong presence in the cosmetics and personal care, food and textile sectors enabled the company to establish a solid reputation as label provider that gives timely answers to the changing needs of its customers. “The only limit to the new applications now possible with digital printing technology is imagination”, comments Rafael Millaruelo, Marketing Director at Syrgraf, referring to the benefits they can offer its customers thanks to the installation of the new Xeikon equipment. The need to include security properties on labels and the commercial advantages of variable information and personalization motivated Syrgraf’s management to purchase the Xeikon 3500 press and efficiently meet the growing need for short run jobs, in a cost-effective way. “The Xeikon 3500 convinced us by its performance, its high resolution and its excellent color capabilities - which are all aspects that will allow us to handle even the most demanding jobs without any problems”, says Syrgraf's manager José Luis Muñiz. The Xeikon 3500 is noted for its variable roll width which ranges from 250 mm up to 516 mm, and for its speed up to 19.2 m per minute. These features allow to achieve production volumes up to 594 m² per hour. The extended capacity of the newly purchased Xeikon press at Syrgraf will be supported by a DCoat 500 inline finishing unit, designed for UV varnishing, lamination, semi-rotary die-cutting, slitting and rewinding. The cost-effectiveness of short runs was one of the main economic motivations for the purchase of the Xeikon equipment. However, the decision was also influenced by the capability of digital technology to increase service agility and versatility, reduce response time and offer a wide range of new applications. Another important factor in the decision was the new possibility to include security elements on labels. These security features make it more difficult to duplicate or falsify labels, a feature that Sygraf's customers in the pharmaceutical industry nowadays demand. The versatility of digital printing that Syrgraf can offer with its new Xeikon digital press is also useful in other industries such as the textile market as the press is able to integrate elements with variable information on labels. “Transferring part of our production to digital printing is not just an investment in technology, it is also a confirmation of our clear commitment to seek solutions that bring value to our customers”, says Mr. Millaruelo. Syrgraf has a sales team that handles the distribution operations. To expand its business - until now the company mainly operated locally - Syrgraf has established cooperation agreements with distributors in other parts of Spain. The new opportunities offered by digital production raise interest to extend distribution also to other countries. That is what Mr. Muñiz confirms when stating: "because the future drives on technology, specialisation and financial strength, our efforts will be directed towards export and/or agreements with European companies for whom our services can or could be complementary”. 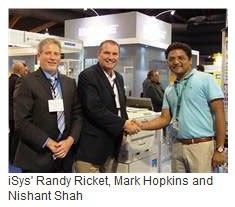 iSys Label, Canadian developers and manufacturers of short to mid run digital label printers have announced they’ve appointed Gujarat-based Caterpillar Signs as their new distributor for India. Comprised of three international offices, Caterpillar Signs will offer iSys Label’s APEX 1290 and EDGE 850 digital label printers both directly and through a dealer network, providing CP Sign customers direct access to the latest digital label printing technology. The EDGE 850 and APEX 1290 are short to mid run digital label printers that were developed by iSys Label in Calgary, Canada. Designed with the user in mind, these digital label print solutions are suitable for all sorts of applications whether it be custom water bottle labels or stickers for a special event. Innovative features such as quick changeover technology, coupled with fully integrated software allow operations to stage and print jobs in minutes rather than hours. Both printers utilize a full featured, easy-to-use label software package developed exclusively for the company’s digital label solutions. The Harlequin RIP software provides full color management tools and a built-in Pantone Library. Also offered is the variable data software, iVDP. Fully compatible with the APEX2Print and EDGE2Print label software packages, iVDP provides the user the ability to combine static and dynamic content to create varying multi-graphic labels containing variable text, images and barcodes. iVDP layouts can be easily set up and configured to run variable portions in both horizontal and vertical dataset formats enabling the user to quickly create highly-targeted, professional digital label designs. 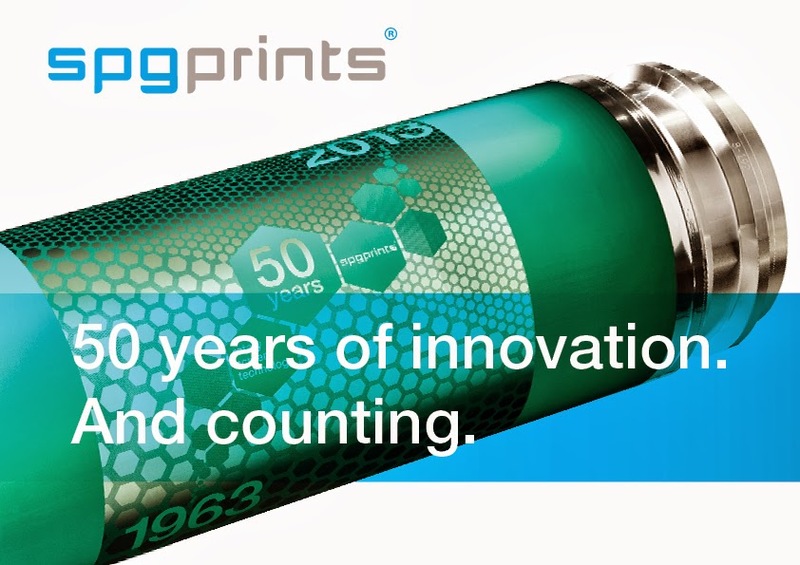 Stork Prints celebrates 50 years of innovation at Labelexpo! Stork Prints demonstrated its unrivalled expertise in rotary screen and digital UV inkjet printing for labels and packaging at the Labelexpo Europe in Brussels (Hall 6, booth H40). Since Stork Prints was the first to introduce rotary screen printing at the ITMA Hannover in 1963, it celebrated 50 years of innovation at the Labelexpo this year with great shows, samples and a happy hour every day. There were plenty of demonstrations that visitors could witness the advantages of Stork Print’s total system solutions first hand as well meet Stork experts and see how Stork’s expertise and products could work for them! One of the main attractions at the Stork stand was the DSI UV inkjet label printer as Stork prepared a historical show for this runner up in the digital label printing market. This digital printing press produces eye-catching labels with excellent colour strength and brilliance, at speeds up to a remarkable 700m2/hour, while keeping costs low. The DSI is modular in design, and therefore suitable for everything from stand-alone digital printing to use in complete lines with in-line (semi-rotary) converting. Multiple demos were given each day for markets such as personal care, food and industrial. Besides their own demos Stork Prints also participated in the official Labelexpo Inkjet Trail showing printed labels for Pharma, Food and Industrial sectors! Stork Prints presented the innovation in digital exposing, a hybrid direct laser exposer for digital pre-press. The new system is called the variLEX, referring to its versatility in product applications, such as rotary screens, flexo and dry offset plates. The variLEX delivers top quality exposing with an unmatched productivity. The machine was presented at the Labelexpo 2013 where its unique features were demonstrated. Stay tuned; more information will follow shortly! This year Stork Prints celebrated its special 50 year anniversary of rotary screen technology - it was the year 1963 that Stork introduced the very first rotary screen for the textile printing industry at the ITMA show in Hannover. Stork’s rotary screen caused a revolution in the printing industry and offered a big step forward in volumes and design freedom for printers. 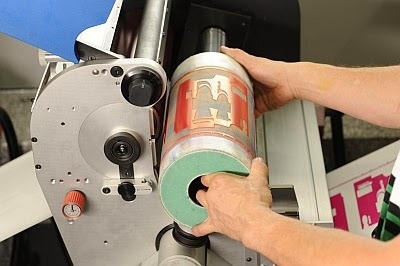 With RSI (Rotary Screen Integration), label printers could produce special effects and access extra functionality that cannot be achieved by any other printing process. Reliable and economical value-added production of the 'non-label look', metallic and opaque colours, glitters, tactile warning symbols, texture varnishes, scratch-off inks and many other effects can be applied using Stork’s RSI technology. “Looking back in time I am proud to say that Stork Prints products and innovations created a standard in the textile and graphic printing industries. As of today our products create an added value solution in optical and functional design for end users. Looking at global trends in the market I am confident to say that we have chosen the right direction in the past and more importantly, for the future in digital and rotary screen printing,” said Bas Hoijtink - Commercial Manager - Stork Prints. Mark Andy Inc. continues to expand their technology offering and are being recognized for their efforts in moving the industry forward and building collaboration among key suppliers. During Labelexpo Europe, held this week in Brussels, Belgium, the company was honored with the prestigious Award for Innovation for delivering a UV LED curing system, ProLED. Flint Group also won an Award for Innovation for their development of EkoCure UV LED printing inks. Both companies have spent nearly two years in joint development of the technology, making it an available mainstream technology for converters printers worldwide. 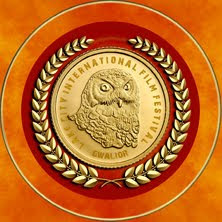 This Award for Innovation marks the fourth innovation award in the past three years. In 2011, the Performance Series line of printing equipment won two innovation awards for its exclusive and unique print station design, and the new Quick Change Die Cut (QCDC) was recognized earlier this year for its high-speed, extremely accurate die cutting technology. Mark Andy Inc. continues to expand their technology offering and are being recognized for their efforts in moving the industry forward and building collaboration among key suppliers. During Labelexpo Europe, held this week in Brussels, Belgium, the company was honored with the prestigious Award for Innovation for delivering a UV LED curing system, ProLED. Flint Group also won an Award for Innovation for their development of EkoCure UV LED printing inks. Both companies have spent nearly two years in joint development of the technology, making it an available mainstream technology for converters printers worldwide. “We are very happy to receive the Award for Innovation this year for Mark Andy ProLED. We are proud of the successful collaboration with Flint Group. Working together through joint cooperation has a truly positive impact on the industry as a whole, and we hope to see more of this among other industry suppliers,” stated PJ Desai, president of Mark Andy Inc. In addition to the award, this year’s Labelexpo proved to be one of the best exhibitions yet for Mark Andy and Rotoflex. The company launched several new technologies in Europe - ProLED and Quick Change Die Cut for the Mark Andy flexo press line, and URC 2.0 advanced control system for Rotoflex inspection rewinders. Thousands of visitors made their way through the Mark Andy and Rotoflex stands to witness all the new technologies in live action, which has already led to increased sales and new customers. 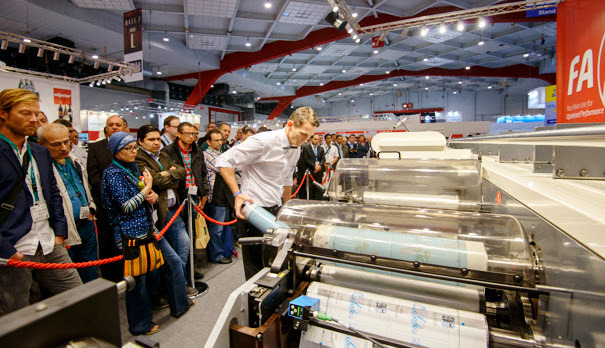 Labelexpo Europe 2013 has reported its largest ever edition with record-breaking attendance figures. The show, which took place 24-27 September, covered seven of Brussels Expo’s exhibition halls for the first time and attracted 31,795 visitors (up 11% on 2011) from 158 countries (up from 123 in 2011) and just under 600 exhibitors (up from 550 in 2011). Underlining the show’s importance to what is the fastest growing sector of the wider print industry, Labelexpo Europe occupied 31,000sqm; its largest show floor size in its 33 year history. As the label and package printing industry’s major platform for product launches, Labexpo Europe 2013 saw the unveiling of over 150 new products including presses, ancillaries and consumables. Big launches included Epson’s Sure PrecisionCore technology and its Surepress L-6304 UV ink label press, Mark Andy’s flexo printing solutions including the Performance Series P3 and P5 narrow-web presses, Ritrama’s Core Linerless Solutions system and Stork Prints new DSI® UV inkjet label printer. Numerous market leading exhibitors increased their presence at 2013’s event including Avery Dennison, Durst, EFI, Gallus, HP Indigo, Mark Andy, MPS, Nilpeter, UPM Raflatac and Xeikon. By the end of the show, 86% of the space had already been rebooked for the 2015 edition – the highest ever onsite rebook rate. Labelexpo Europe 2013 also welcomed the successful debut of several new busy feature areas. The Package Printing Workshop showcased the opportunities both digital and conventional printing can bring to folding carton, lid laminate and stand up pouch decoration. The Inkjet Trail put the different available inkjet technologies under the spotlight and compared their results when producing identical label designs on the same label stocks. 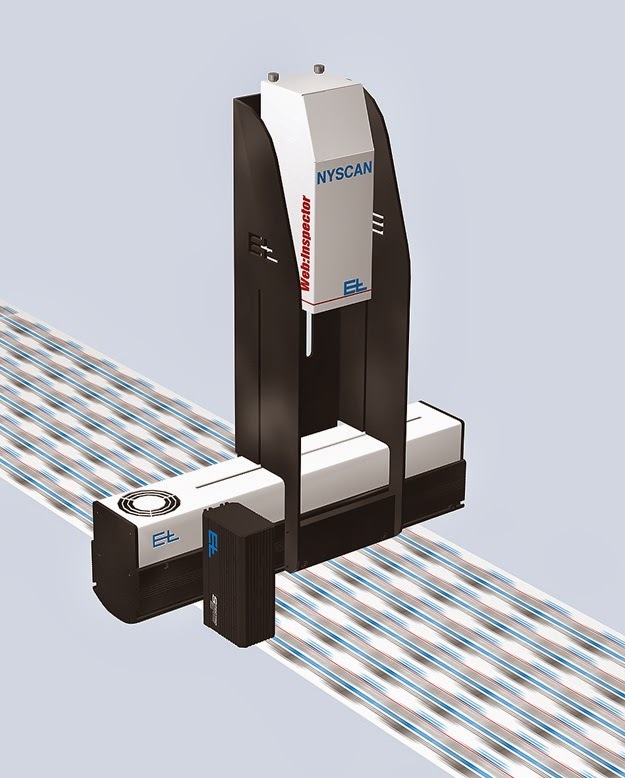 The new Elcam Missing Matrix and Label Detection system is a special solution for the narrow web label industry. With typical set up times of less than 5 seconds and no moving parts to adjust, it is an impressive, low cost alternative to the traditional time consuming set-up procedure of conventional sensor arrays. 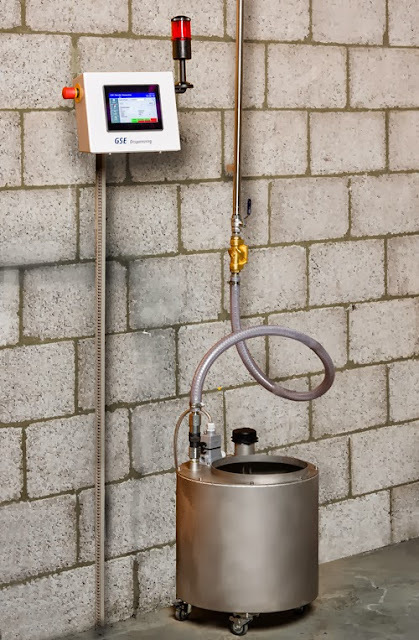 The system is easy to install, easy to use, and very robust in operation. 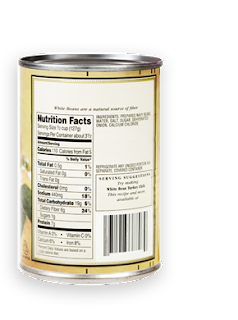 Thanks to this new development, label printers are able to avoid waste and improve product quality. Additionally, due to the very quick setup times, machine productivity will increase significantly. The system consists of the smart vision camera Elcam in combination with LED light sources, a small controller to handle stop signals for the production process (if needed), and a touch screen panel with an intuitive graphical user interface. Nyscan 100% Print Inspection continued to impress attendees with its fast and easy set-up, clear presentation of defect data, and the ability to integrate an entire production process into its Workflow concept. By using data obtained during print inspection, Erhardt+Leimer’s RollScheduler system can control a finishing machine by automatically and accurately placing defects at the splicing table. Further, this is achieved without the need for special marks, flags, or labels. From prepress through finishing, E+L’s Workflow solution provides the tool for quality control. Elscan remains the premium solution for web viewing and attendees were clearly impressed with the image quality presented by the system. Elscan OMS 4 uses two cameras with fixed focal lengths. Using digital zoom the system switches imperceptibly between the two cameras, allowing for delay free zooming and navigation. By means of delay-free zooming using the mouse wheel, it is possible to display any section of the repeat and then select an overview of the entire repeat just as quickly. Also, a simple click on the required point on the repeat will move the camera to this position allowing the print quality to be checked as quickly as possible. The Nilpeter Bell rang 24 times, each time one of the Nilpeter presses was sold at Labelexpo Europe 2013. Receiving its European debut was the sleeve-based FA-4 for high-end labels and packaging, and the high-performance FB-3 UV-flexo press delivering the highest level of print reproduction as well as unparalleled registration performance. The new MO-5 offset platform, a wider 520 mm-version for labels and package printing, also created much interest among the premium-quality converters in Brussels. Nilpeter also experienced a strong interest for the new inline Quick-Change magnetic die-module, the QC-Die. Recently developed, the system allows operators to ergonomically change cylinders in less than 10 seconds, which was demonstrated time and again during the show. Solid die-cutting cylinders can also be incorporated. Another attraction was the inline flatbed unit for hot foil and embossing unit, the FP-4, and the inline gravure unit for printing metallic inks and other coatings, the G-4. In addition to improving material handling and logistics efficiency and flexibility, product quality and yield, and package safety and integrity, machine vision can also be implemented on the processing side to reduce scrap, improve productivity and quality control, as well as enhance brand image. Another application is orienting bottles based on shape when they enter the machine in random positions. 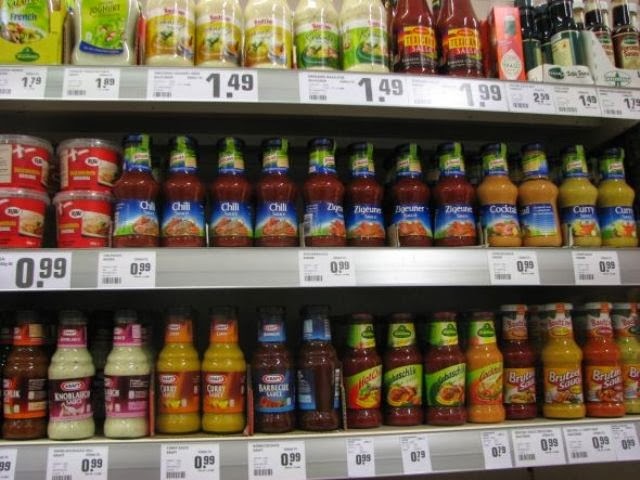 Machine vision can identify correctly facing bottles and allow them pass through. 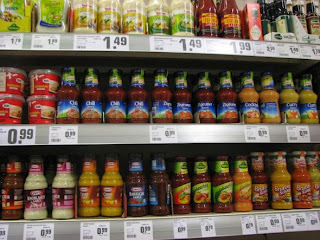 Incorrectly facing bottles are detected by the vision sensor which signals an actuator mechanism to rotate the bottle to the correct orientation. Cognex offers the widest range of vision and ID products available from a single source to provide you with a solution for every application and budget. Color-Logic--developer of the Process Metallic Color System recently participated in two European shows: Labelexpo Europe 2013 in Brussels, and Packaging Innovations in London. 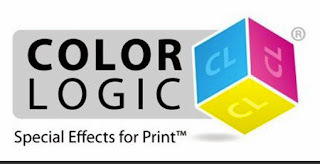 At Labelexpo Europe 2013, Color-Logic exhibited in the HP booth. An HP Silver Partner, Color-Logic was on the HP stand, near the HP Indigo machines which enable printers to product striking metallic labels and packaging. Commented Color-Logic Chief Technical Officer Richard Ainge: "From the show opening until the close, label producers were queued up to see how they can quickly and consistently produce metallic folding cartons and labels using our software." At Packaging Innovations London 2013, the Color-Logic process was on display on the Mirri stand, where packaging experts and manufacturers of luxury goods could see firsthand how metallic substrates can be used to produce incredible metallic boxes for high-end products. 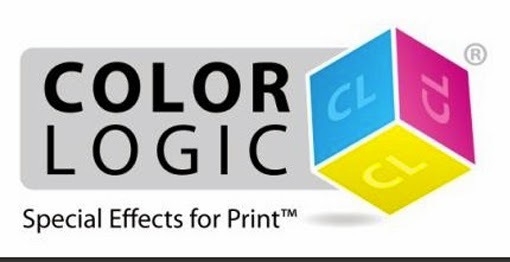 Commenting on the European foray, Color-Logic Director of Sales and Marketing Mark Geeves said: "Many printers and brand managers in the Europe and the Middle East already use Color-Logic to enhance their products, and we continue to be pleased at the excitement Color-Logic produces in the marketplace." 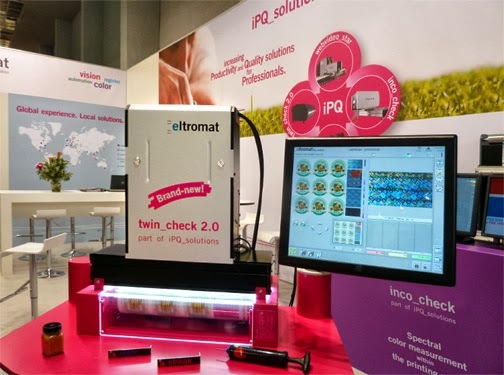 eltromat launched twin_check 2.0, it´s improved 100% print inspection system, for the first time at Labelexpo Europe in Brussels. The new camera unit doubles the resolution and leads to a brilliant image quality. And with the new illumination unit the customer is able to inspect on opaque as well as on high reflective materials. eltromat also experienced strong interest for the iPQ_solutions with its modular design approach. It allows the combination of web viewing, 100% inspection, spectral color measurement and workflow solutions to increase the productivity as well as the printing quality. twin_check 2.0 is based on a new patented camera and illumination unit. The new RGB line-scan cameras come with triple line sensors with 4096 pixels each and a line frequency of 85 MHz. This results in a much better resolution and brilliant image quality. Another improvement has been achieved with regard to the illumination, which now allows best inspection results on different materials. "With only one illumination unit our customers are able to inspect holograms, all typical opaque and high reflective materials without pseudo errors," states Dirk Volkening, Product Manager at eltromat. The weight and size of the inspection unit has been reduced. Additionally, the camera and illumination unit can be mounted either horizontally or vertically. This results in a market leading flexibility of machine integration. With this solution for print inspection eltromat responds to the needs of customers in the packaging and label, as well as decor and wallpaper printing industry. The established webvideo_star, also on show, is now equipped with a new processing unit, which makes the system completely scalable. Customers can choose to add different modules such as a barcode or sample inspection system; or the webvideo_star can simply be upgraded with a complete twin_check 2.0 or the inline color measurement system inco_check. With the modularity of iPQ_solutions customers stay flexible and efficient because they only buy the hardware solution which their needs require.